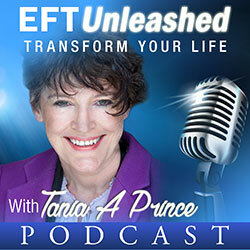 Finding the root issues can often be the key to success when using EFT. Clients however, are not always aware of what event or events created their problems. Even if they are aware, it may seem so vague to them that they can actually think they are making it up. 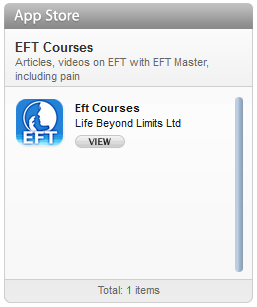 The following is a case I worked on recently where one of my trainees suddenly developed an absolute fear of demonstrating EFT in front of her peers. That fear was so great in the mere moments in which she became aware of it, she re-evaluated her whole career plans because of it, and decided that she would need to change direction in her life to avoid ever being in this kind of situation again. The following took place over two sessions. The first lasted about twenty minutes, the second about five minutes. 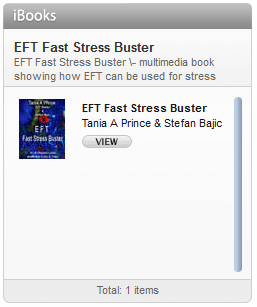 In the first session, EFT was used to retrieve the memory of an event from the past and then to clear it. In the second session, EFT was used to deal with her issues about being judged. I have written this account after consulting with the trainee and gaining her perspective on the work done and the internal thoughts and emotions she was experiencing through the session. I feel it gives useful insight into this type of issue and the effect it can have upon a person’s life. At a recent supervision session, one of the attendees suddenly became struck with fear as I mentioned that the next exercise involved working in front of the group with one of their colleagues. Previous trainees had found this exercise to be incredibly useful as a learning tool. As soon as I said this, the trainee began to shake, although she did not inform anyone in the group of how she felt. She was totally taken aback by her own reaction since she thought of herself as a very confident person, and had previously no problem talking in front of groups of people. The more I spoke about the exercise that we were about to do, the more extreme her symptoms became. She began to feel, “light headed”, and had the thought, “no way am I going to do this”. In fact she almost decided to make excuses and leave in the tea break. She felt like she needed to get out of there. These are typical reactions that occur when the body/ mind perceives itself to be under threat, whether that threat is real or not. She felt unsettled through the break, couldn’t concentrate, talked very little, and didn’t want to drink or eat. She felt sick and shaky. She had reached the point where she dreaded heading back to the course room. However she did go back. As I continued to set up the exercise, she turned to the girl next to her and said that she didn’t feel she could do the demo. The girl beside her took on board what she was saying and then drew to her attention the fact that her neck and chest were “blotchy”. Instantly the problem ramped up a couple of degrees and now she became faint and felt even more sick. I questioned her about what was going on for her, after clarifying that only if she was totally OK with demo would she be expected to do so. I then asked if she was OK being the client. She felt fine volunteering to play that role. Using EFT, her fellow trainees were able to shift most of her symptoms, in fact all but one, which was the heat in her face that came up as they began to work with her. At this point it was really interesting because she said, “I now feel really comfortable and calm knowing that I am just not giving this demo”. The insistent voice in her head had not shifted one bit , it was still as adamant she wasn’t going to demo in front of the group and that she was never going to put herself through this type of thing ever again. In fact she was now considering cancelling her client session due to take place the following morning. Throughout the previous work done by the trainees, she had said that she didn’t know where this was coming from although she had a sense of multiple events. These however seemed vague, and she also added that she wasn’t sure if she was making this up. Curious as to where this would take us, I decided to work with her and use EFT to explore this angle. “Even though, I have this NO and it might be connected to early multiple events in my life and it seems vague, and I don’t know what those events are, I completely and totally love and approve of myself”. I then asked if anything came up for her or popped into her mind, whilst we continued to tap on the karate point. She said it seemed a little less vague, but she didn’t know if she was making it up. I said it didn’t really matter if we did make it up as we could tap this out and that it would be totally OK. This was obviously the point where a big emotion hit her as a child, as she had blushed and felt embarrassed and had a sense people had laughed at her. At this point having elicited the information we began to tap through the event, just putting together all the bits of information that we had elicited. “So even though, I was only seven years old………..
As we tapped through, I exaggerated certain points and just went with whatever popped into my head. After tapping through she now seemed to be seeing the event differently and thinking about it differently than she had done at the beginning. She said that although most of the memory now seemed distant, certain points she could still see as bright images. This is a clear indication that the whole of the event was not cleared completely. We then concentrated on what was happening in the clear/ bright images that she still saw. Tapping these bits through resulted in the whole image being distant, fuzzy and seeming unimportant to her now, like a non-event. We terminated the first session at this point. She had originally said that she had a vague idea that the problem was associated with multiple events from her past. Therefore I felt as a therapist that maybe using Gary’s metaphor of the table top, which is the overall problem in this case the fear of doing a demo in front of the group and the legs beneath the table being the specific events in that person’s life which had led to the creation of the problem., we had taken out one of the legs and effectively destabilised the table to some degree. When I started, my original intent was to find another leg under the table (using Gary’s table metaphor) and take it out; however, I just went with the flow and ended up tackling it entirely differently as seen below. “Even though I have this No in my head which is somehow related to judgement, I totally and completely love and approve of myself”. This made an instant impact. She then said, “of course we are judged all the time”. It was as if a sudden realisation had occurred to her. In the trainee’s own words she later said, “This statement seemed to collapse things completely and really ring true with me”. When I was working on this issue I was very much in the moment going with whatever popped into my mind. However there are certain points that perhaps explain what occurred during these sessions. Saying to the client that it was OK to make up what occurred, as we could equally work with the invented memory, resulted in her being open and stopped her challenging what was popping into her mind. When we process the information in our minds about our experiences in life, we have pictures, feelings and hear sounds. We may also have a smell or taste associated with events. It is really useful to check that the memory is fully cleared when you work on it by checking through these systems thoroughly. Everyone has their own opinions. We are constantly judged either good, bad or indifferent. However, we do not need to accept that judgement. We can choose to accept the bits that add value to our lives and dismiss the bits that don’t. Speaking to Paula one week after we completed working on this issue, I asked if she had noticed anything different about her life. Firstly, that she had woken up one morning bursting with new ideas for her business. Secondly, that when she attended a business meeting with an advisor from the Chamber of Commerce, instead of “acting as if she was eating humble pie”, she was proactive and felt totally at ease and equal in every way to the advisor. As a result, the meeting seemed less formal than her first meeting. She also noticed that as she walked out of the meeting the two chairs in the room used for visitors were of a different height one small and the other same height as that used by the advisor. The first time she had attended, she had automatically headed for the smaller chair thus leaving the advisor looking down upon her. This time however she automatically headed for the chair that put her at an equal level with the advisor. Learning and understanding how to stop blushing in public can be a very daunting task for most people with mild to severe/excessive blushing. However, there are some very simple easy tips to prevent blushing and to help you stop blushing in those awkward public moments. The first and most important tip that I can recommend is that you simply take a second for some deep breathing.